Originally a celebration of Saint Patrick, Ireland's patron saint and famous banisher of snakes, this holiday has become for many an excuse to drink green-dyed lager and throw back cheap shots of Jameson. Far be it from us to denigrate this time-honored tradition – St. Pat himself knows we've had our fair share of neon-green cherries and enough Shamrock Shakes to last a lifetime. 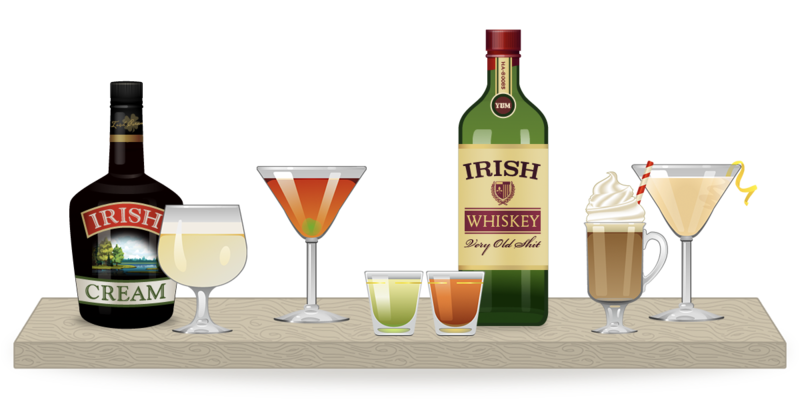 But if you're looking to class up your celebration a bit this year, read on for a few our favorite St. Patrick's Day cocktail recipes. Sláinte! First up is the Dubliner, a contemporary creation from famed mixologist Gaz Regan and his wife Mardee. It's a classic, spirit-forward recipe, but it's not too stuffy to turn its nose up at the obligatory green cherry garnish. In the same vein, we love the sharp, bracing flavor of the Blackthorne. There's precious little history on the name, but we like to believe it was named for the native Blackthorn tree – a favored wood for producing shillelagh walking sticks. 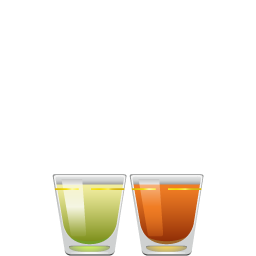 If you want to dress up your traditional shot of Irish whiskey, why not try a Pickleback? This one-two shot of whiskey and pickle juice is tastier than it sounds, and the pickle juice itself makes for a decent electrolyte – something your booze-ravaged body will appreciate as the night drags on. If you're looking for a sweet drink to toast St. Patty, try a Banshee. It's a delicious, low-proof banana-cream cocktail named for a female spirit in Irish folklore whose terrifying scream foretold death. 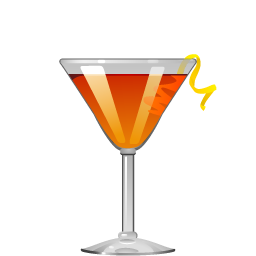 It's a strange moniker for such an affable cocktail, but it's a perfect toast to the "spirit" of the holiday! 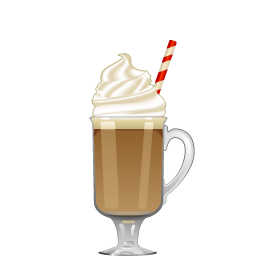 If you need a little kick to the pants after a night of drinking, an Irish Coffee is a classic pick-me-up. If you absolutely must use green food coloring in your drink, try incorporating a drop or two in the whipped cream. 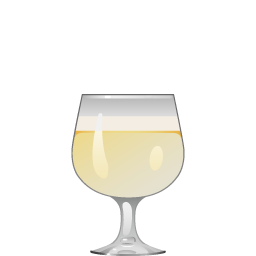 Our last selection is sure to be controversial: Cameron's Kick, equal parts Irish whiskey and Scotch, unified with lemon juice and orgeat. It's a genuinely delicious cocktail that deserves more attention – and what better day than St. Patrick's day to drink a toast to friendship among the Isles? 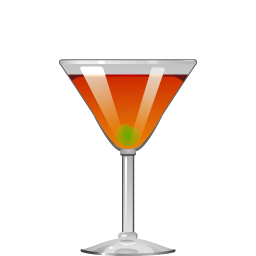 The Cocktail Party app puts these drink – and hundreds more – in your pocket, and tells you what you can make from the ingredients you have at home. It's the best $3.99 you'll ever spend on a drink.